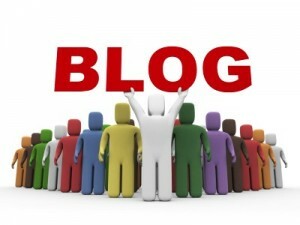 A selection of highlighted blog posts from Lean bloggers from the month of June, 2013. You can also view the previous monthly Lean Roundups here. Why Do We Need A Checklist? – Dragan Bosnjak explains how checklists can be used to avoid errors which are part of our human nature. If You Develop People Results Will Follow! – Tracey Richardson explains the importance of developing people to always ask questions and focusing on the process if you want results. Leadership and Management – John Hunter defines leadership and management and says that traits of both are needed to effectively optimize systems. Good Witch or Bad Witch? – Bruce Hamilton shares a few traits of bad (non-lean) accountant. Silly Accountants! Profits Are For Companies – Bill Waddell explains the problems with GAAP accounting and the impact it has unfortunately on company decisions. Lean as Growth Strategy – Al Norval disputes the common misconception of Lean and illustrates how Lean is business growth strategy rather than only a waste reducer. Mastering The Meeting – Matthew E May introduces the “Lean Meeting” and shares 3 simple strategy to make your meetings “Lean”. 10 Tip to Motivate Excellence in Teams - Marcela De Vivo shares 10 guidelines essential to managers to transform into a dynamic dream team capable of delivering the levels of manufacturing operational excellence. 5 Powerful Techniques For Dealing With Setbacks or Total Failure – Ron Pereira provides 5 strategies for overcoming setbacks that you may face. Toyota's Jamie Bonini On Organizational Culture – Mark Graban shares the lessons of Toyota on organizational culture from a recent talk. Invest For Success – Ellis New shares three fundamental elements to consider to ensure that improvement efforts get off on the right foot. The Executive Steering Committee Explained- Why Do You Need It & What Is It's Purpose? – Brad Schultz provides 5 responsibilities of a executive steering committee and how it helps the beginning of a transformation. Leadership: The Force Multiplier of Kaizen – Kevin Meyer explains how leadership that commits and engages in the Lean transformation can create incredible value. Don't Agonize; Agendize – Liz Guthridge provides 7 steps and other strategies to make a robust agenda that makes your meetings more effective. Safety Stock – Lawrence Loucka explains the ups and downs of safety stock and how to use this strategy. Where Are We Going? – Bill Waddell explains the importance of having a future state vision and getting everyone to understand it. Building Intellectual Capital – Pascal Dennis says the Kaizen/ Continuous Improvement Office needs to be known for creating intellectual capital – by developing people. Lessons from the Road: Eliminating Waste in Your Personal Work – Jamie Flinchbaugh shares lessons of lean to apply to your own work that can help assure your time is spent on the most valuable tasks. Most Workers "Hate Their Job" (Are Disengaged); Lean & Kaizen Can Help – Mark Graban says you can close the gap and improve engagement with “continuous improvement” and “respect for people” the pillars of Lean. Real Lean versus Faux Lean – Bill Waddell puts a few things straight regarding headcount, inventory, and green when it comes to Lean.